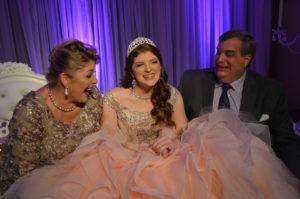 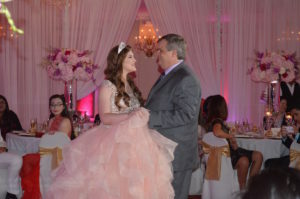 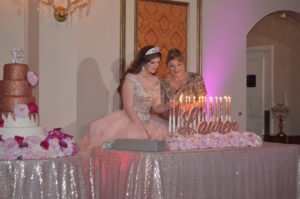 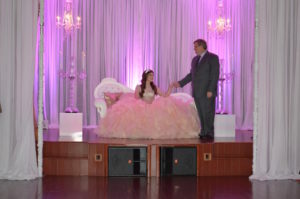 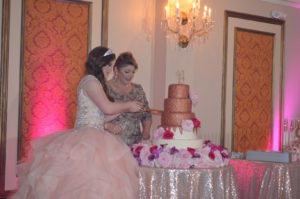 Happy Birthday Lauren, Thank you for having sharing your special day with us.Lauren’s mother, Linda, had a very clear idea of what she was envisioning for her daughter’s 15s. 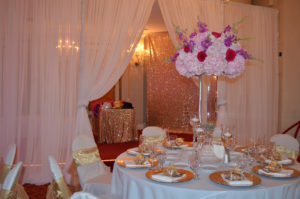 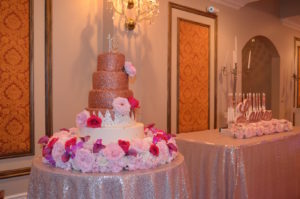 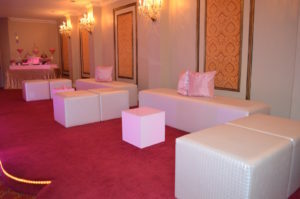 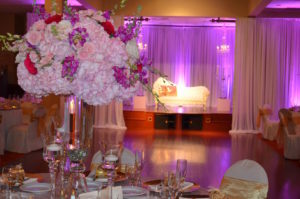 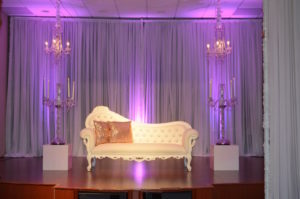 She had lovely Glitz Sequin Linen Pink Uplights and VIP area for Lauren and her friends where the will enjoy the photo booth and a candy station. 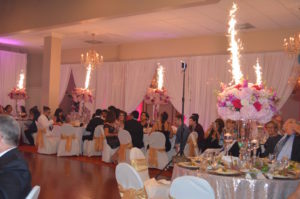 Lauren’s presentation was very pretty and the guests very surprised with fireworks that came out of the center pieces. 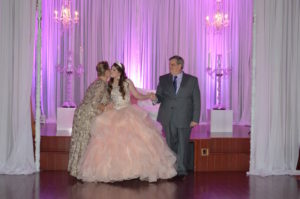 Laurence danced the traditional daughter and father’s song and light the candles with her mom. 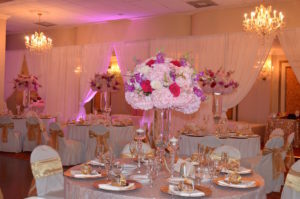 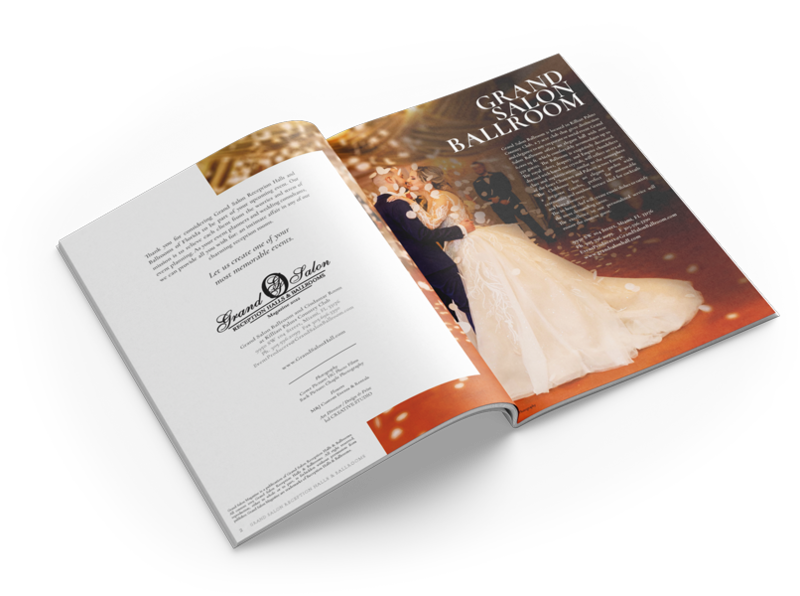 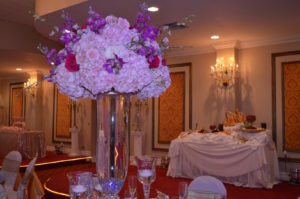 Thank you to M&J Custom Events Furniture Rentals LLC for the Flowers & to Carmen Goenaga Sensational Experiences Event Rentals The Most gorgeous Fireworks with Frank ON FLORAL ARRANGEMENTS !